We all know that we should make healthy food choices. There is so much research and information out there these days, we can’t pretend we don’t know roughly what is good and what is bad. I totally accept that there is conflicting research out there in abundance and equally that it is hard to keep up with what we should and shouldn’t eat sometimes – one minute red meat is the devil and the next it is ‘essential’. You know the drill and there are a huge number of of foods and drinks we hear this about. I’m talking in general though, and in general we all know what is considered good and bad. We also know that a ‘balance’ is perfectly acceptable. We know that we don’t have to make healthy food choices 100% of the time, just perhaps 95%? I’ve heard people say that food is the enemy and that makes me sad because I don’t think that is true. Bad foods yes, but not food in general. Eating well can be fun and enjoyable, never mind delicious. It’s about lifestyle choices, rather than quick fixes. There is part of me that would love a quick fix some days, like so many other people, but really that isn’t what I’m interested in, I want to always eat well, not just for a small amount of time, and I want my family to as well. I love to find out about how certain foods can help us in different ways and how to make good, healthy food taste great. Water, water, water – I have this little chat with myself everyday. Each day I promise myself I will try to drink more water. It’s fine if I am at home, but not so practical when out and about. Having to constantly find a toilet with little ones in tow is not that practical and as soon as they can reach door locks, you’ve had it! What child in their right mind wants to stop playing, to go to the toilet with their mum? Anyway, we all know we should drink more water and maybe you have that nailed already? You could try adding lemon to it, or making a warm drink by adding coconut oil and boiling water if you can’t stick to plain water. Maybe you like a good smoothie or homemade juice? If you don’t have time for that what about some pomegranate juice? 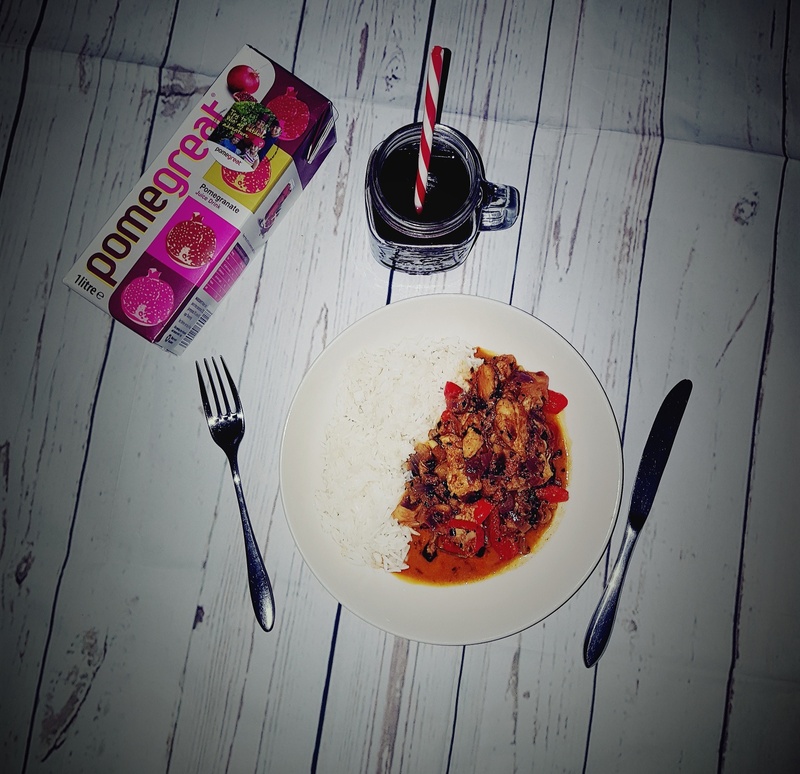 Pomegreat can be perfect with an everyday family meal. It’s something the whole family can enjoy together. You can water it down, or drink it as it comes. It also makes super ice lollies too! Pomegranate juice is full of antioxidants, it is anti-viral and anti-inflammatory, contains Vitamin C, Vitamin E and Vitamin K and can help with digestion. 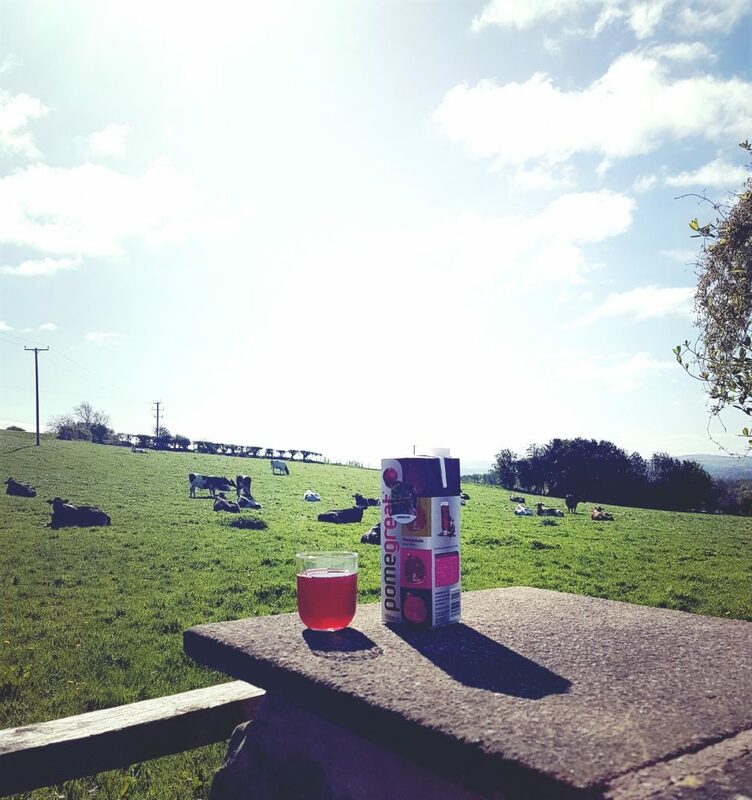 At the moment Pomegreat cartons have an on pack promotion where you can win an outdoor adventure with Go Ape. Fantastic right? If you haven’t heard of Go Ape, there are 31 locations all over the UK where you can climb, swing and zip through the trees like Tarzan and Jane. This is a great activity to do as a family and superb for both physical activity and confidence boosting. Just pick up one of the promotional packs from your local supermarket and follow the entry instructions.